People can’t stop chattering about Hunter Pond’s restaurant, partly because of the New England lobster roll. Even though it’s greasy and requires a stack of napkins close by, this sandwich satisfies. 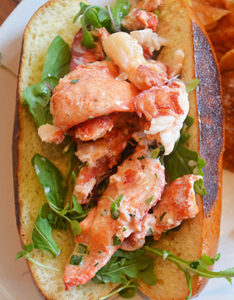 It comprises a generous portion of lobster barely contained inside a buttery brioche bun with microgreens and arugula. Read More About East Hampton Sandwich Co.